As a parent or grandparent, you’re the biggest supporter of your child or grandchild’s learning and development. You’re also a key role model when it comes to financial literacy. 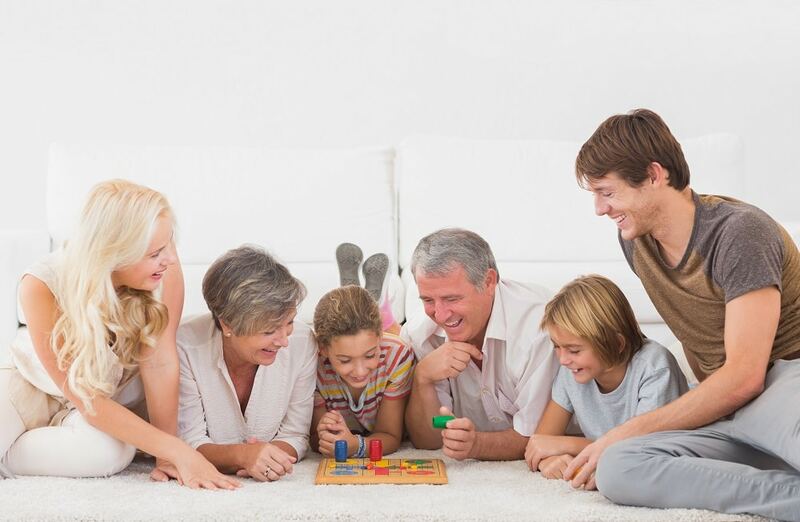 Financial board games combine both play activities and financial learning in a fun format that appeals to everyone. As the gift-giving season approaches, and families gather together to share the holidays, why not consider the gift of financial literacy, with one of these fun financial board games for kids, tweens, and teens? This board game for ages 4-10 helps kids practice counting, recognize coins, make change, and perform simple math. It also introduces the concept of saving. Kids accumulate money by landing on different valued colored squares. The inbuilt spinner feature and Bank Exchange squares help kids explore coin values e.g., cash in four quarters for a dollar, or make change for a quarter without using dimes. A shopping game designed to teach kids ages 6+ wise spending habits. Travel around the board, deciding whether or not to buy different everyday items. Earn money by passing ‘Go’ or landing on ATM squares, save money with coupons, or give items to friends. Three levels of play (using coins, paper money, or both) allow you to tailor the game to your child’s knowledge of money and math. This game supports the core financial literacy elements of allowances and chores, as kids move around the board doing chores to earn allowance. The game also introduces key financial concepts such as saving, spending, and interest, as well as broader money themes. The winner is the first player to accumulate $20. Recommended for ages 5-11. Reflecting today’s digital era of money, this version of Monopoly is fast-paced and cashless. Instead of paper money, players receive bankcards linked to their game token. Financial transactions are loaded onto the cards and tracked by the Ultimate Banking unit. Community Chest cards are replaced by Location cards that enable you to move to another property space. Chance cards become Event cards e.g., you earn money, your rent or property prices fall, or – of course – you ‘Go directly to Jail. Do not pass ‘Go’. Do not collect $200’! For ages 10 and up, this board game by financial author Dave Ramsey teaches kids about a wide range of personal finance subjects, including the importance of financial planning for future success. Topics covered during game play include saving an emergency fund, paying off debt, increasing savings, lowering expenses, and managing cash flow. SageVest Kids typically encourages parents to teach kids the fundamentals of financial literacy before introducing investment strategy. When teens are ready, this game introduces investing terms and concepts in a fun way. Every trip around the board represents a year in a player’s life. Starting out, players can afford riskier investments to gain higher returns. However, as retirement (the end of the game) approaches, more stable investments help prevent last-minute losses. The person retiring with the most money wins. Bulls And Bears is like a hybrid of Monopoly and The Game Of Life. Players begin with $100,000. They move around the board, completing their education, buying a home, working and saving towards retirement. As they go, Wild Cards introduce unexpected life events to teach the importance of savings and insurance. News Flash Cards illustrate how world events can influence the markets, causing players to adjust their portfolios accordingly. Knowledge Cards provide wisdom about different personal finance matters. The aim is to win by doubling your investments. For older teens through adults. Play and learning go hand-in-hand. SageVest Kids offers parents a range of fun, age-appropriate activities to help you teach your kids about money. We encourage you to explore our website, including our blog. For more information about SageVest Wealth Management, parent company of SageVest Kids, please visit our main website. If you’d like information on our family-focused financial services, please contact us. Note: The list does not represent endorsement of any of the products listed by either SageVest Kids or SageVest Wealth Management.